At Namale Resort & Spa you can do everything or nothing, the choice is yours. 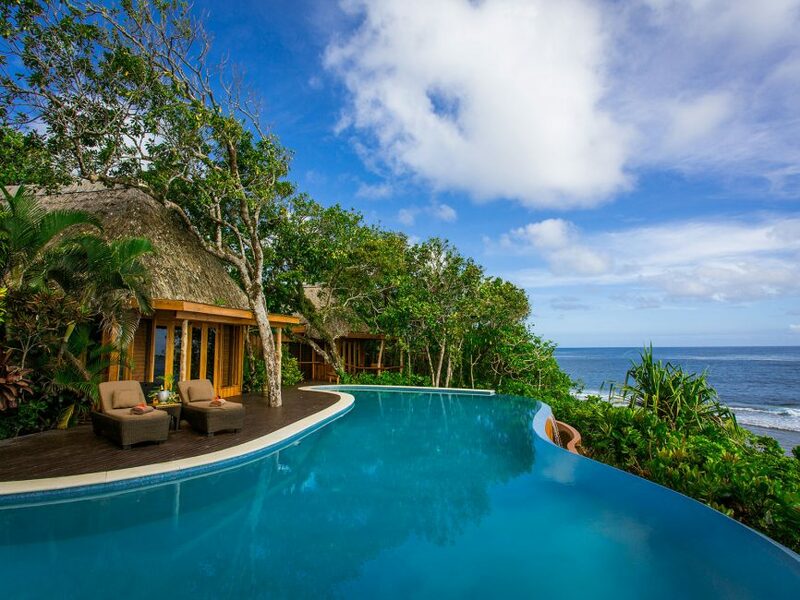 This adults only resort has spectacular views over the Koro Sea and is set on hundreds of acres amongst lush tropical surrounds. This exclusive, intimate resort is where you will unwind from the everyday and reconnect with that special someone. What Namale offers is tranquility in a truly unique setting with all the trimmings. We loved lazing on the deck listening to the waves crashing beneath, experiencing the off-boat snorkelling adventure, skipping through the sea on the banana boat, being pampered at the spa and relaxing in the hydro-therapy room, being whisked away to a private dining experience that we’ll forever remember and heading to the Kava Bowl after dark for a round of golf (with many laughs) and mixing our own cocktails at the bar. Take a scenic 40 minute flight from the mainland to Savusavu where you will be greeted by the friendly staff from Namale and transferred to your holiday paradise. With so many fantastic activities and stunning surrounds, Namale would be an amazing option for a group booking. Whether it’s a corporate retreat (Namale has hosted several international companies), celebrating a special birthday or a beautiful wedding the team at Namale are specialists at making every occasion seem effortless. Included in your stay are all meals prepared using the freshest of local produce, room service, private destination dining, bottled Fiji water, alcoholic and non-alcoholic beverages, mini bar replenished daily, golf at their private course, an array of motorised and non-motorised water sports, off boat snorkelling, horseback riding, waterfall tour, hydro-therapy room, tide pool exploration, fitness centre, all activities at “The Kava bowl” (bowling alley, pro-golf simulator, Apple TV movies, Wi-Fi, iTunes movies and more), there are too many inclusions to list, contact us for the extended list. 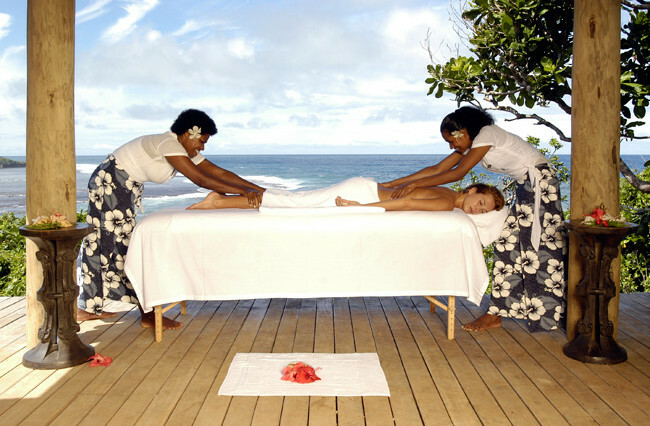 As the name states, Namale has one of the most awarded spa’s in Fiji. Set high above the sea this sanctuary has views as far as the eye can see. It is a must do experience at Namale, you will leave feeling reinvigorated and refreshed.